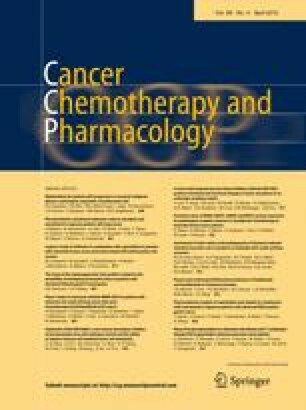 This Phase I study determined the maximum-tolerated dose (MTD) of afatinib (Afatinib is an investigational compound and its safety and efficacy have not yet been established) (BIBW 2992; trade name not yet approved by FDA), an irreversible inhibitor of epidermal growth factor receptor (EGFR)/human epidermal growth factor receptor (HER)1 and 2, up to a dose of 50 mg/day in advanced non-small cell lung cancer (NSCLC), to establish the recommended dose for Phase II. Patients with advanced NSCLC who had received prior platinum-doublet chemotherapy and/or erlotinib/gefitinib therapy, or who were ineligible for, or not amenable to, treatment with established therapies, received oral afatinib once daily. The MTD was determined based on dose-limiting toxicities (DLTs); other assessments included safety, pharmacokinetic profile, antitumour activity according to response evaluation criteria in solid tumours and EGFR/HER1 mutation analysis where possible. Twelve evaluable patients were treated at doses of 20–50 mg/day. One DLT was observed at 50 mg/day in Course 1 (Grade 3 mucositis). The most frequent drug-related adverse events were diarrhoea, dry skin, stomatitis, rash, paronychia and anorexia; most were Grade 1 or 2. Six out of 12 patients had tumour size reductions; durable stable disease was achieved in three patients including one with EGFR/HER1 exon 19 and T790 M mutations. Peak plasma concentrations of afatinib were reached 3–4 h after administration and declined with a half-life of 30–40 h. Afatinib 50 mg/day was well tolerated with an acceptable safety profile during Phase I. Recommended dose for Phase II was defined as 50 mg/day for Japanese patients; the same as for non-Japanese patients. All authors have contributed equally to the development of the manuscript, and all authors are in agreement with the content of the manuscript. Clinical trial registration: NCT00711594 (http://clinicaltrials.gov). This study was supported by Boehringer Ingelheim. The authors acknowledge the editorial assistance of Ogilvy Healthworld. Boehringer Ingelheim provided financial support for this assistance. Haruyasu Murakami, Tomohide Tamura, Toshiaki Takahashi, Hiroshi Nokihara, Tateaki Naito, Yukiko Nakamura, Kazuto Nishio, Nobuyuki Yamamoto: nothing to disclose. Yoko Seki, Akiko Sarashina, Mehdi Shahidi: employee of Boehringer Ingelheim.